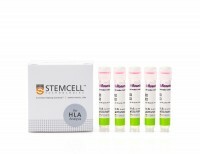 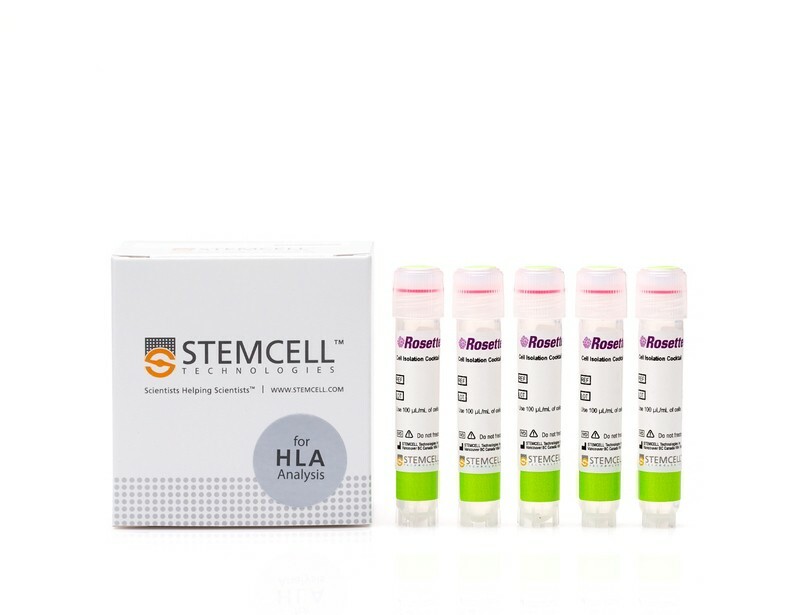 The RosetteSep™ HLA B Cell Enrichment Cocktail is designed to isolate B cells from whole blood by negative selection. 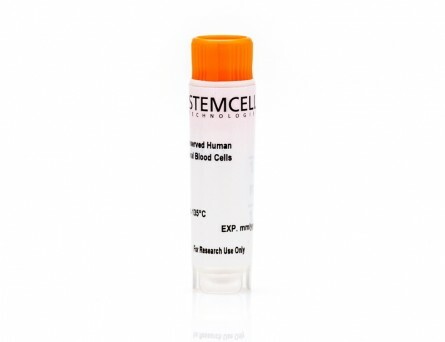 Unwanted cells are targeted for removal with Tetrameric Antibody Complexes recognizing non-B cells and red blood cells (RBCs). 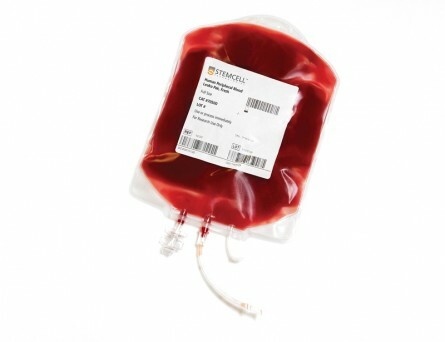 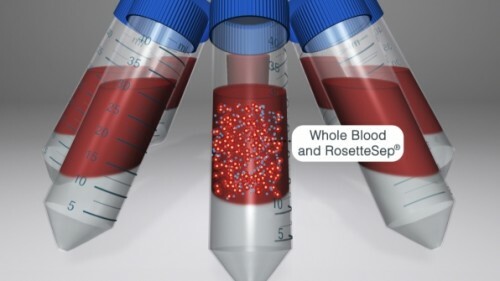 When centrifuged over a buoyant density medium such as RosetteSep™ DM-L (Catalog #15705) or Lymphoprep™ (Catalog #07801), the unwanted cells pellet along with the RBCs. 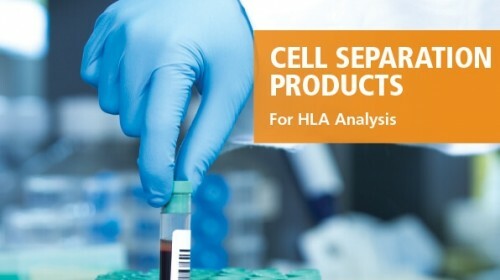 The purified B cells are present as a highly enriched population at the interface between the plasma and the buoyant density medium. 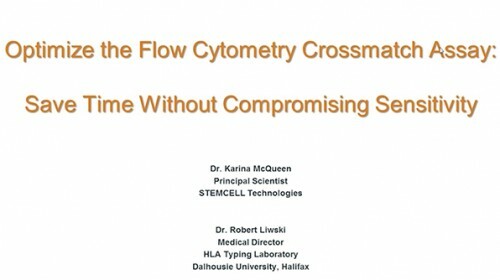 The desired cells are immediately ready for serology or flow cytometry crossmatch assays. 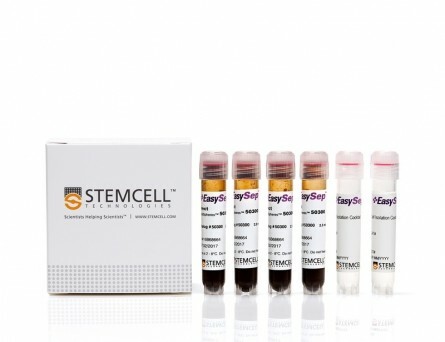 This product carries the CE mark and is available as a Class I in vitro diagnostic device in the European Union and Australia. 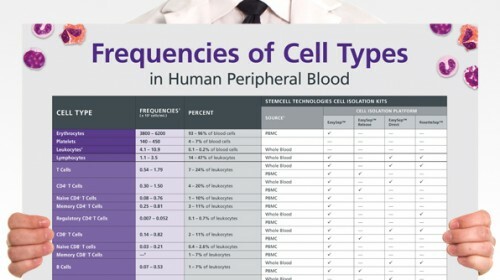 Starting with whole blood, the CD19+ cell content of the enriched fraction typically ranges from 59.3% - 97.2%.